Provide assistance to Prudential customers for registration process in hospital admission as well as to receive and provide solutions to inquiries from customers. Willing to work on Saturday within 2 shifts (7AM – 3PM& 1PM – 9PM). 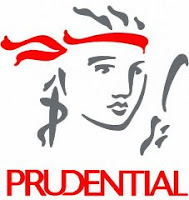 Send a complete resume in English, together with recent photograph to: career@prudential.co.id, For detailed information & apply online, please refer official source on following link below. All applications will be treated confidentially.